An article in the August 5, 2011 issue of USA Today, titled Bird-watching is Big Business in Arizona, named our part of the state as one of the “two or three best places in the United States to look for birds.” The article, quoting a 2006 Fish & Wildlife survey, pointed out that 1.3 million visitors came to Arizona that year to bird-watch, spending 838 million dollars in the process. If you enjoy birds and live in southeast Arizona, you picked the right place. This much interest in birding leads to an infrastructure found in few other places. The Tucson Audubon Society is one of the best-organized and administered Audubon affiliates in the country, the Arizona Field Ornithologists are headquartered in Phoenix and the Arizona/New Mexico online list-serve at the U of A posts daily bird reports from more than a thousand subscribers. Even the California-based Western Field Ornithologists conducted their 2011 annual meeting in Sierra Vista. Birding festivals are held across the state from Yuma to Verde Valley to Sierra Vista, and include the popular Wings over Wilcox and the Southwest Wings Birding Festival. 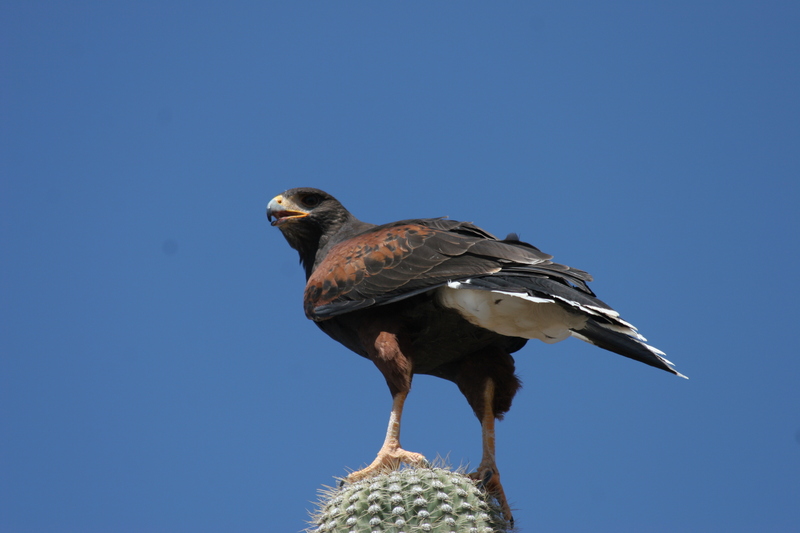 2011 also marked the inaugural Tucson Bird & Wildlife Festival. Where birding festivals, birds, and birders congregate, one might expect to find plenty of birding guides. One would be right. We have a disproportionately rich roster of guides in southeastern Arizona, leading trips to popular state destinations as well as into Mexico and beyond. Many of these guides are excellent, and know when and where to find the state’s finest birds. Their fees are fair, and there are many advantages to the personalized trips and smaller groups they offer. On the other hand, shelling out one or two hundred dollars for a day’s outing may not fit your budget. If that’s the case, you should know there are some excellent alternatives. Some of the best local birding areas schedule regular free bird walks. Catalina State Park is the closest one to SaddleBrooke, and, with 200 birds on their checklist one of the most productive any time of the year. Dennis Wright, an outstanding professional guide, led weekly Friday morning walks in the park for years, but, unfortunately, Dennis moved to Oregon. In his place, the park currently draws walk leaders from seasonal campers and other local guides. Free walks have been scheduled up to three times weekly from October through March, and you can call (520) 628-5798 for more information. Agua Caliente Park, near the entrance to the Mt. Lemmon scenic highway on the northeast side of Tucson, is a much longer drive from SaddleBrooke, but well worth it. Free guided walks, especially for beginners, are held on Thursdays, and the free park’s oasis setting, with palm trees and water are an ideal picnic spot. Meeting times and more information are available at (520) 615-7855. This park is noted for several rare bird visits, including the Plain-capped Starthroat, a Mexican hummingbird. The Arizona-Sonora Desert Museum is home to a variety of birds, and conducts daily bird walks at 7:30 AM, May through September and at 8:30 AM the rest of the year. The walks are free with paid admission to the museum. Saturday 8:00 AM bird walks also are free at Arivaca Cienega (Buenos Aires National Wildlife Refuge) from November through April. 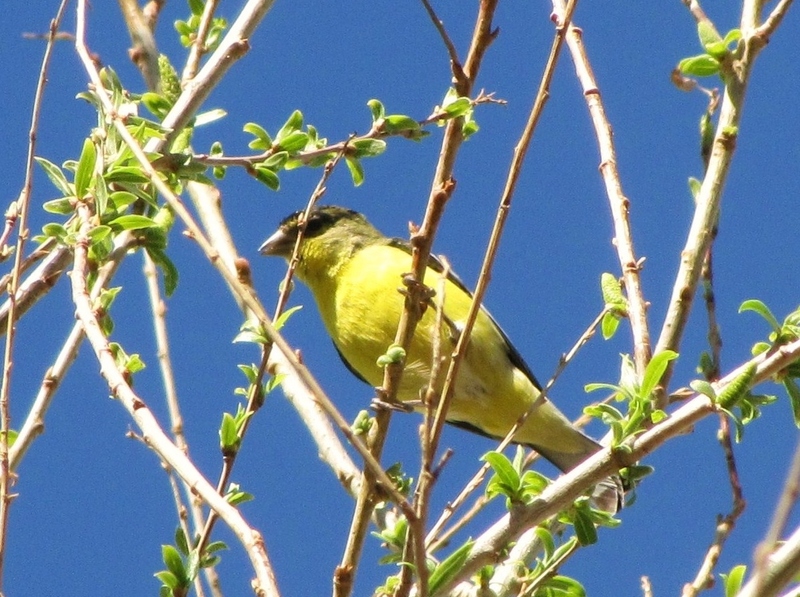 Closer to SaddleBrooke, Tohono Chul Park holds free bird walks (with paid admission) at 8:30 AM Monday, Wednesday and Saturday from October through May. Other area bird walks with informational phone numbers include: Honeybee Canyon (520 615-7855), Sabino Canyon (520 749-8700) and Saguaro National Park (520 733-5158). 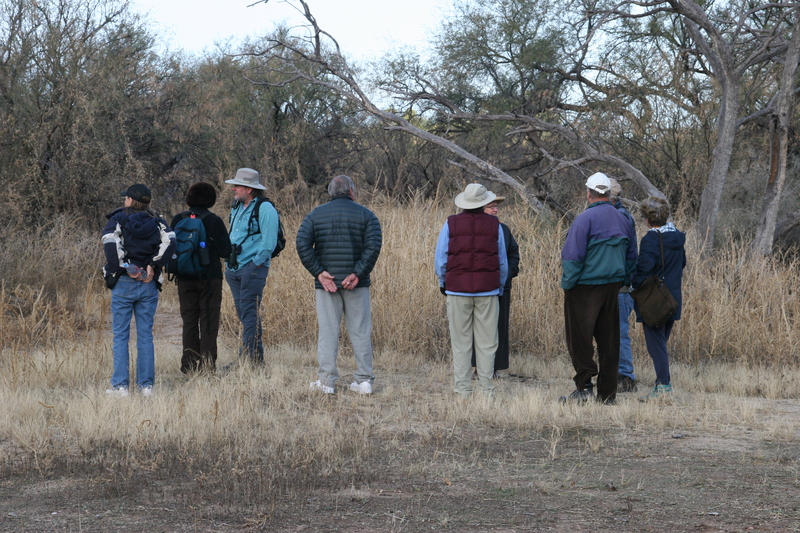 Available year-round, Tucson Audubon field trips are led by expert birders and are free. Although you don’t have to be a member to participate, there are many advantages to joining. Sample destinations include Madera Canyon, Patagonia, Las Cienegas, St. David Monastery and Peppersauce Canyon. Some of these trips require advance registration and some limit the number of participants. For detailed information, check field trips at www.tucsonaudubon.org. 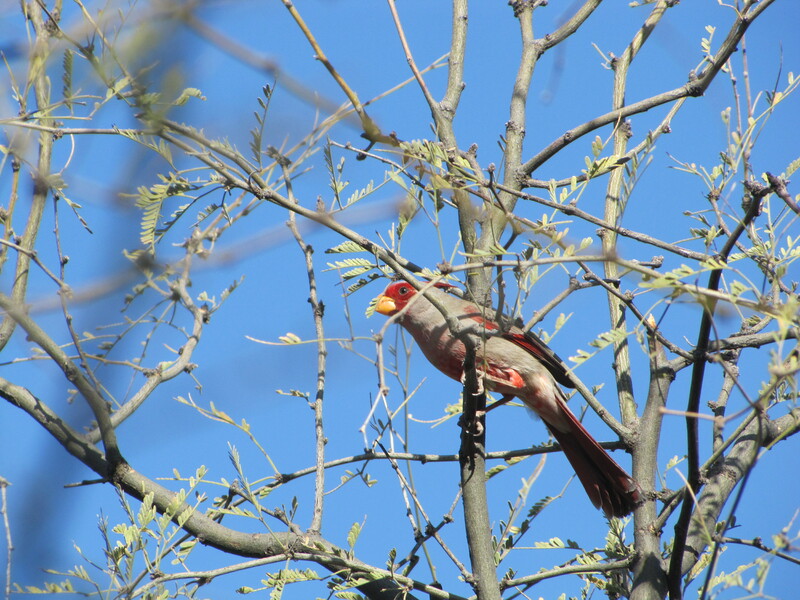 This entry was posted in Birding Arizona and tagged agua caliente, Catalina State Park, free guided bird walks in arizona, tucson audubon society. Bookmark the permalink.